We've put together our list of the top 4 resume templates used to land jobs as an IT Manager, no matter what your professional level. Reflecting the personal, technical and communication connections that are at the core of an IT Manager's role this stylish and sophisticated 2 page resume template will ensure you stand out from the crowd and help you assert yourself as a technical expert in your field. 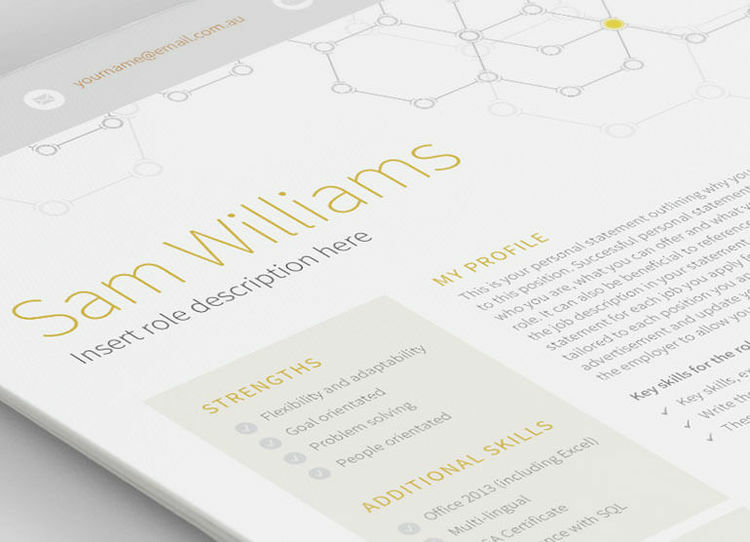 Inspired by data with technical undertones this fresh, clean 2 page resume template has been expertly formatted to best showcase your professional experience and personal strengths. Matching cover letter also available for maximum impact. A classic, sophisticated resume template that guarantees to make recruiters and employers take notice, Waterways 2 page resume template is clean and uncluttered and will allow your skills and expertise to shine. Full technical support available – we're here to help! The number 1 resume template for IT Managers is our Bullseye 2 page template! Power red to express confidence and strength this template is on target to hit recruiters and hiring managers right where it's needed, placing you ahead of the pack in your job hunt.